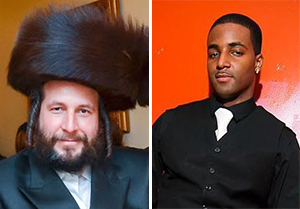 The night Menachem Stark died, he should have been at a wedding, his wife told a Brooklyn court. By then, Stark, the now-infamous developer and landlord, had already been abducted outside his Williamsburg office, bound and stuffed into a Dodge Caravan, and suffocated. His body was later found, partially-burned, in a dumpster in Great Neck. The court viewed footage of that grisly scene, filmed by then-NYPD detective Bruce Schurman. Members of Stark’s family cried as the footage played and some got up to leave, the New York Post reported. Felix, who confessed to the murder and implicated two accomplices, had worked construction on Stark’s properties, and may have worked for a contractor to whom Stark owed $20,000. Felix told police the abduction had been an attempt to “scare” the businessman and his death was an accident. Stark, a member of the Satmar community, got in early in the Williamsburg gentrification-driven real-estate boom. He had at one point amassed a portfolio of about 1,000 units in the Williamsburg-Greenpoint area, together with his partner Israel Perlmutter, but ran into financial trouble after the 2008 crash, according to The Real Deal. He was millions of dollars in debt and embroiled in a number of financial and legal disputes at the time of his death.